Love to take pictures, travel, meet people and have fun. I recently spoke to some of the wonderful people at the Kiwiburn, who wanted to use one of my pictures with the announcement of AfrikaBurn theme for 2015, The Gift - in the below article. I thought I would share their post with you too, enjoy! ISSUE 53 OCTOBER 2014 The amazing art of Kiwiburn – do we have a grant for you! 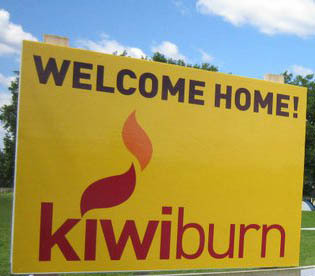 Let’s make Kiwiburn more amazing! Do you have an amazing idea to improve Kiwiburn and the infrastructure and processes that enable our community to exist? Kiwiburn offers Innovation Grants of up to $800 which fund practical projects that might speed-up construction and takedown of Kiwiburn, provide better lighting, save water or electricity, provide greener power, reduce vehicle use, or find a clever way of reusing rubbish. Innovation Grants projects don’t necessarily have to be participatory or artistic, they can be ‘behind the scenes’ or purely functional, though any project must benefit the wider Kiwiburn community. Have a read on our website, and if in doubt, email us and we'll tell you if it's suitable. To apply, fill in the online Application Form. We’d love to see your art on the paddock next year! Submissions for Large Art Grants have closed, however you can apply now for Small Art Grants (under $500) – the deadline for applications is midnight, Friday 31 October. Do you have an idea for an art project that the Kiwiburn community can help work on? Community Art Projects (CAPs) are designed to provide participants with the opportunity to make art and build community. Applications are now being accepted! Kiwiburn has allocated $800 for this project. It will be given to one applicant or split among several dependent on the quality and needs of the individual proposals. The criteria are mostly the same as those of standard Art Grants, with an emphasis on interactivity and relevance to the theme. The closing date for applications is Sunday 16 November at midnight, with announcements to be made three weeks after that on Sunday 7 December. To apply, click here. If you have any questions email them to us. Have you got your Kiwiburn 2015 tickets? A flurry of activity meant the 200 first tier tickets sold out in a few days. They’ll be on sale right up to the event though we’d love you to buy your tickets as soon as you can as it helps us plan for things like how many portable toilets we’ll need! And if you can afford it, please buy higher priced tickets at any time, effectively donating a bit more cash towards an awesome festival. Visit the website for more information. 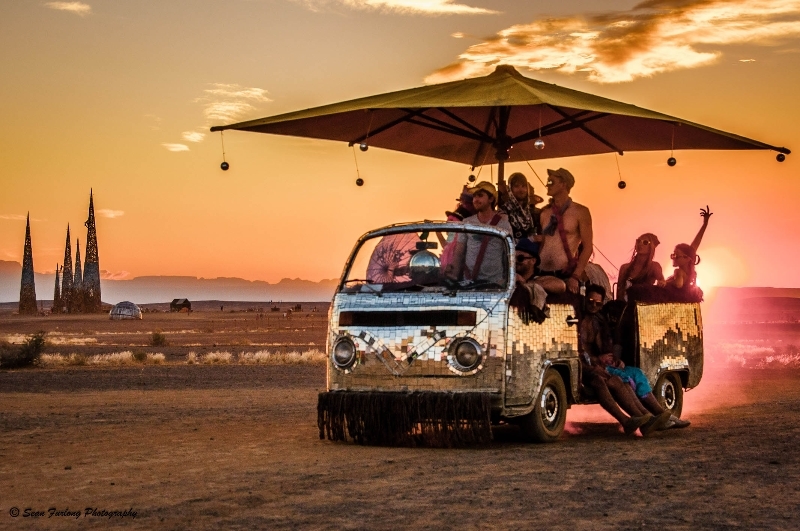 Afrikaburn has announced their theme for 2015, The Gift – ‘The receiving of the gift is as important as the making of the gift and the giving of the gift’. 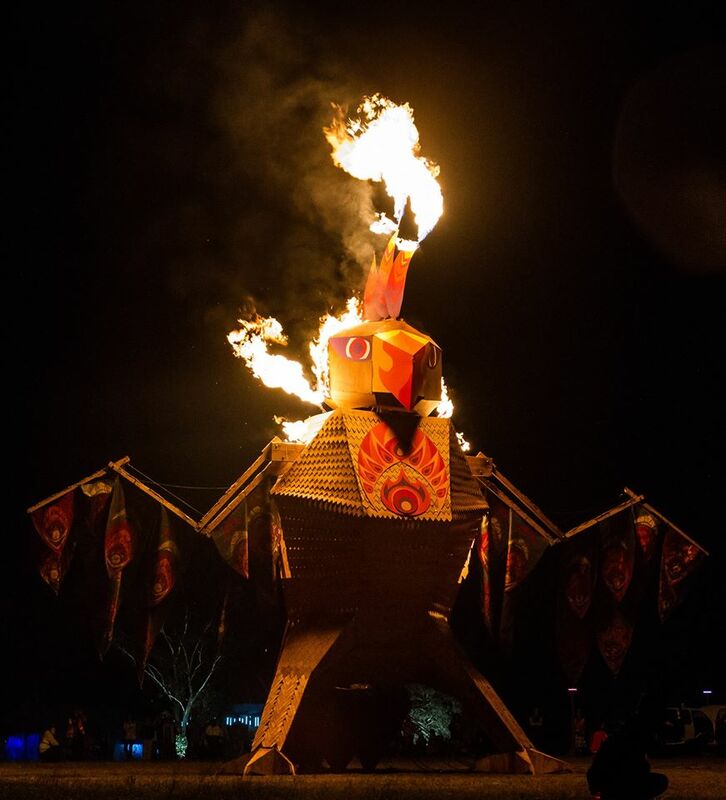 Held from 27 April through 3 May, the event attracted almost 10,000 burners in 2014, selling out in record time. PURE-C: Paddock Unlimited Renewable Energy Co-op need you! Their mission is to encourage low voltage renewable energy power solutions on the paddock instead of dirty noisy fossil fueled generators. After several years on the paddock, slowly expanding their capabilities, the Pure-C team are looking for a couple of keen people to help setup and maintain many of the Kiwiburn lighting systems: self contained solar power systems for Gate, Greeters and the Town Hall, as well as general paddock lighting of portable toilets, gateways and some paths. Using safe low voltage lighting systems – some self contained with solar panels and batteries, and some with only batteries – there is a simple early evening task to take fresh batteries to them from our charging station. NOTE: as only 12 volts is used, no special electrical skills are required though full training and hugs will be provided. The team are considering dressing up and making a ritual procession – similar to Burning Man’s Lamp Lighters. If you are interested in joining, please message Captain Lumos. Theme camps make Kiwiburn fun! If you haven’t thought of bringing yours, you should! It is a great way to contribute and share with your community. Find out more here then follow the links to sign up. Join the Kiwiburn Gate Crew! Gate Crew ensure all participants enter Kiwiburn in a safe, sound, and efficient manner; nobody gets in without the proper credentials; search all vehicles for those sneaky stowaways, potential MOOP-makers (Matter Out Of Place), fireworks and dogs. Does that sound like you? If you want to get involved and be part of a great crew, sign up for a shift or two. Take a look at the roster then send an email to lock in a shift. Be part of the Media Subcommittee! You're a whizz at copywriting, can manage producing this newsletter each month, are competent, or at least familar with using Mail Chimp and have a good eye for layout. You also have a few spare hours every month to make this happen. Is this some of or all of your talents? We're a small team and we would love to hear from you with a brief outline of your skills and enthusiasm. Email us now! The fifth Burning Seed was held early October – here's a brief overview from Jodi, a veteran burner. Burning Seed had its third consecutive year of 100% growth, tipping the scales at 2400 participants this year. With growth comes increased spending capacity, so we were able to offer $25k in art grants, $6k in theme camp grants, and significantly increase the budgets the effigy, and especially the temple. Design of the effigy and temple were opened to the community this year, a first that was not without difficulties. The winning temple design from Jesseca Sheck and Lauren Massey was a flaming galah. The temple, designed and built by a Melbourne-based crew led by architect Elba Garcia-Clark was one of the event highlights. Its massive burn created significant fire tornados that contributed to a very moving experience for many participants. Theme camps tipped the scales at a record 52, ranging from chilled out hospitality at the Soupery, Red Earth Brewery and Kettle Tea House to classic dance spaces like Bean Bag Babylon and new comer Pelican Villa. Veteran theme camps Coco Poco Loco, Dirty Birds, and Swing Dog took their show on the road with art cars leading dancers into fields and forests. Keep an eye on our website for more detailed updates and a flood of amazing photos. Better yet, subscribe to our newsletter the Flaming Galah. And don't forget to drop us a line next time you're crossing the ditch – there's always something going on for a Kiwiburner to sink their teeth into! © Sean Furlong Photography. Picture Window theme. Theme images by PLAINVIEW. Powered by Blogger.